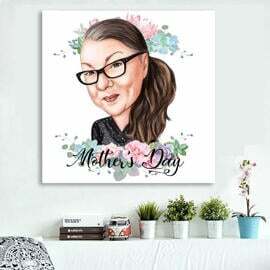 Order a beautiful custom-made drawing which will be designed from regular photo of your mother in black and white pencils style. 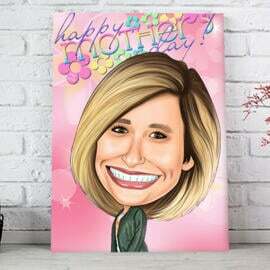 Caricature will be designed by professional artist, based on your photos and requirements. 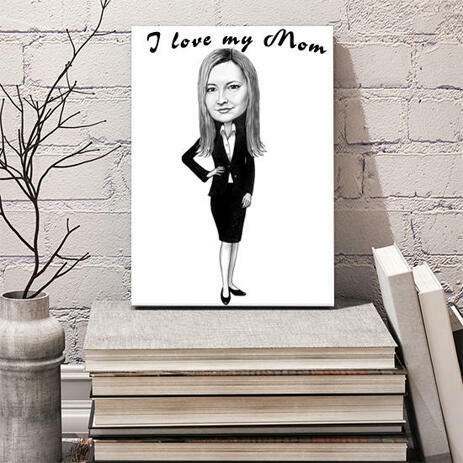 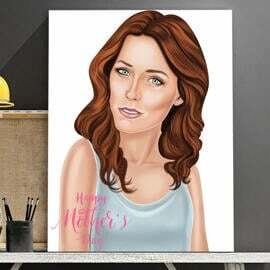 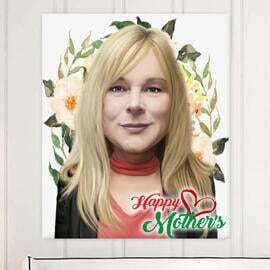 Such a custom drawing of a person like your mother or grandmother will make a wonderful surprise for her. 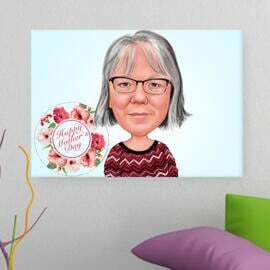 Drawing printed on canvas will be cherished for many years. 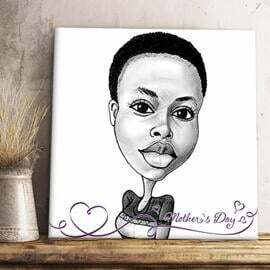 Describe all of your requirements below and we will draw a beautiful cartoon drawing of a woman in full body type. 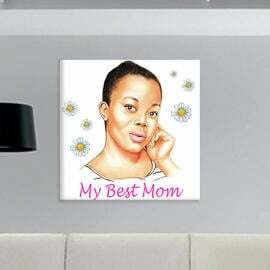 If you would like to get her drawn in a specific theme or featuring decorative texts, then please mention all of your ideas below. 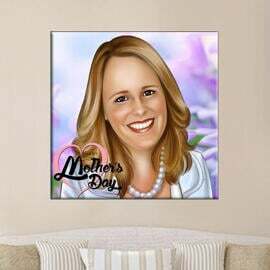 Canvases are available with worldwide shipping.